We see it all. Where most furniture sales people are trained only in the products that they represent, we have to know quite a bit about most everything that is being sold in the marketplace. As a result, we have some strong opinions about what makes furniture great. Here are three characteristics of great furniture. Regardless of styles or furniture periods, the best furniture that we see has the finest grain of wood. 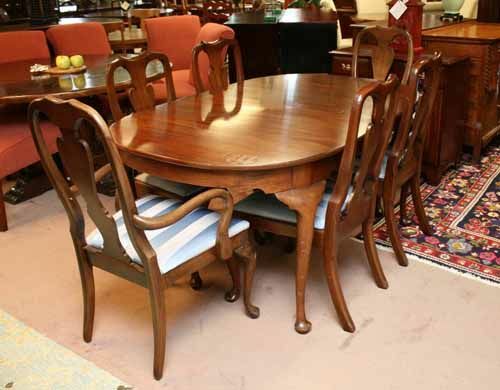 The elite manufacturers such as Henkle Harris and Kindel Furniture stand out above the others because of the wonderful stock of wood that they choose. Their wood grains are so distinct they jump out of the finish. 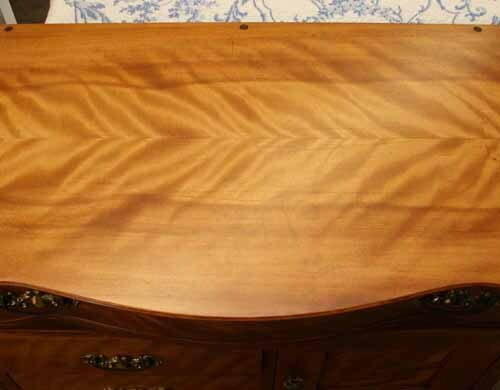 Furniture with inlaid veneers over a solid wood is a sign of great furniture. Inlaid veneers are where a furniture artisan is able to show great creativity and can define their piece in a special way. These veneers constructed from walnut, satin, rosewood or ebony differentiate average furniture from great furniture. 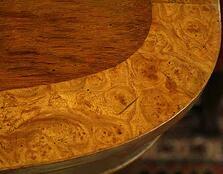 The selected wood grain for these veneers is also a key element to producing great furniture. Attention to hidden areas is a characteristic of great furniture. 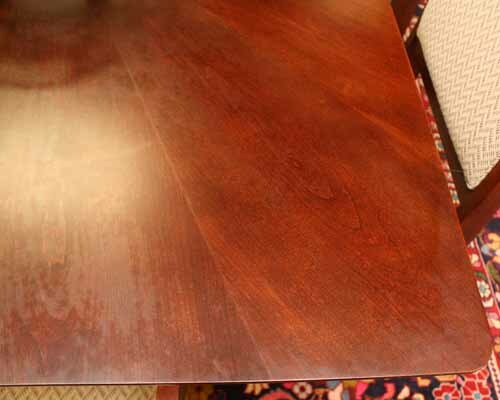 If you can run your hand underneath a coffee table and your hand slides without friction or if drawers are finished on the inside, these are signs that the manufacturer poured everything they had into their product. Check for smoothness in how well the drawers slide in and out and that drawers are finely sanded and planed around the edges. Again your hand should be able to slide around a drawer without friction. Dovetailed drawers should feel like a continuous piece of furniture. Furniture is like artwork in that it can be a masterpiece, but what matters most is that it apppeals to you. Once a trademark of a fine piece of furniture, the inlay that furniture enthusiasts seek and love has been insulted by modern manufacturing techniques and manufacturers. The contrasting wood grains with various inlays are being done with photo finishes and weak veneers. Low-end manufacturers have been luring uneducated consumers with fancy looks that quickly transform into a mess in the home. The side effect from the cheap inlay is that the consumer has grown used to seeing contrasting wood colors and grains and, as a result, prefers that look. 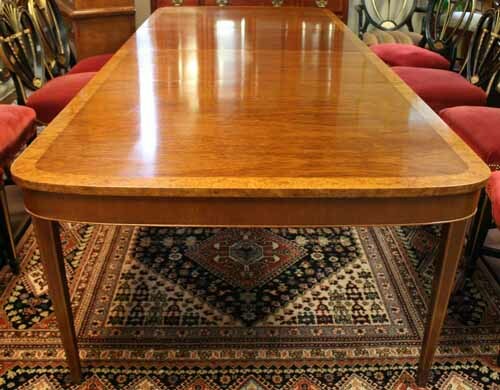 The problem is the basic, but solid Queen Anne cherry and double pedastal mahogany tables are suffering a bit on the resale market and it's not right. 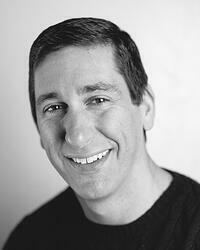 Consumers want the fancy look, but don't realize that the cheap inlays lift, smudge, crack and do not wear well. For the last 10 years, the big box furniture stores have found a product that connects with the uneducated furniture buyer. However, after a few years and the signs of a poor quality surface, consumers are licking their wounds and finding their way. 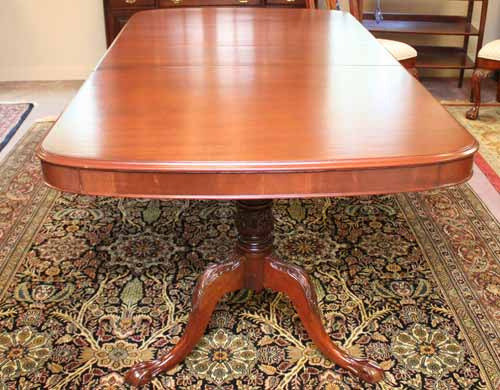 A solid, but basic, traditional table will give you a classic look and a table that will withstand the test of time. It may be frustrating that your dining room suddenly resembles that of your mother's or your grandmother's, but it will last. And the best part of all, is that it will hold value and help you to buy a real table with wonderful veneers and inlays that boast genuine satin, walnut and ebony woods. 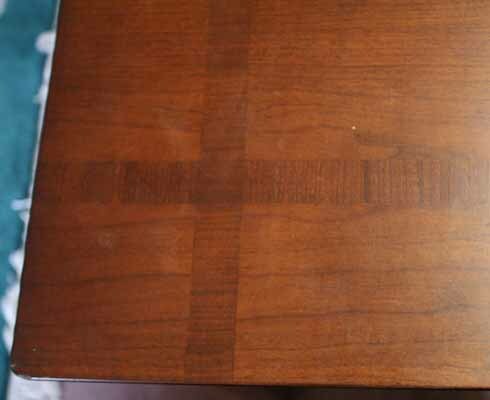 Save for the real thing and buy a high-end table with the banded inlay you have always wanted, but buy it on consignment when your budget is ready. It will be well worth the wait!